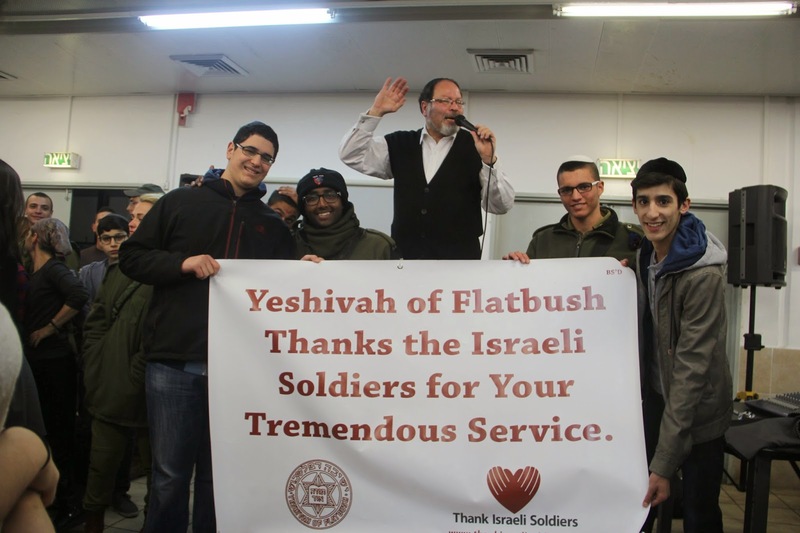 Three teams of students representing Yeshivah of Flatbush recently won highest honors in this year's WordWright Challenge, a national competition for high school students requiring close reading and analysis of many different kinds of prose and poetry. Participating with 596 school teams from all across the country, the school's ninth graders placed second in the nation in the year's second meet, held in December. At the same time the school's tenth graders placed first in the nation, while its eleventh graders also placed first in the nation. Students at the school who won highest individual honors in the meet included Freshmen Isaac Farhi, Mimi Lazerowitz, and Jacques Mosseri (all of whom earned perfect scores), Joey Berkovitz, Naomi Sanders, Victor Alloham, Morris Asher, David Azrak, Teddy Beyda, Michael Goldstein, and Bonnie Tawil; Sophomores Sylvia Franco, Victoria Gindi, and Michelle Zalta (all of whom earned perfect scores), Daniel Esses, Albert Rahmey, and Evelyn Tawil; Juniors Daphna Ben Ari, Jackie Fried, Gabriel Rudy, and Rachelle Tawil (all of whom earned perfect scores), Yosef Cohen, Melissa Duchan, Jacob Silvera, Nicole Yankovich, and Stephanie Zeitouny; and Senior Ben Fried. More than 69,000 students from across the country participated in the meet. The students were supervised by Mrs. Shifra Hanon. This is the final day of our STEM trip to Israel. Waking up was a little difficult and our first stop was to the Tel Aviv University to visit their Gevahim center. 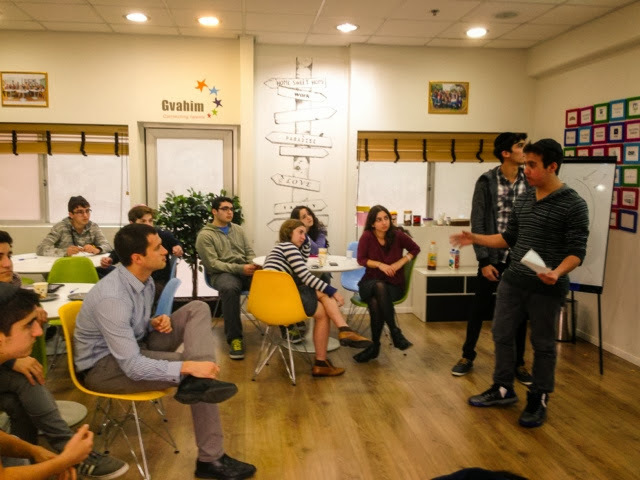 This program helps Olim Chadashim with all aspects of making a Start Up in Israel. 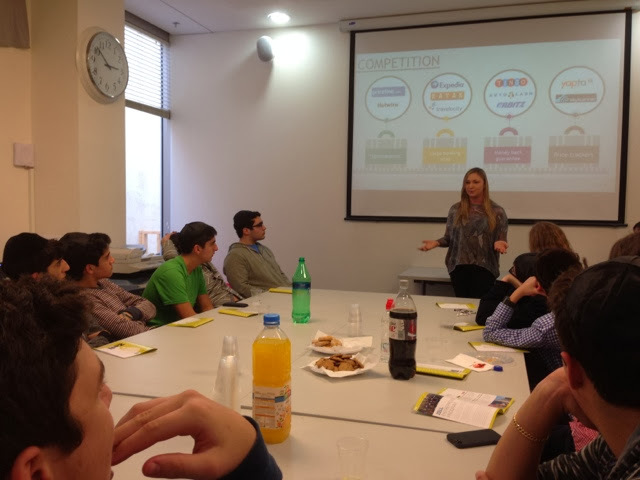 The job market is very difficult, with the average Israeli taking over 8 months to find a job. Asaf Luxembourg, an extraordinary motivator and marketer, stepped up and with his high intensity and winning personality woke everyone up with his formula for the successful pitch. Each group worked on their Start Up idea which they brainstormed at Presentense, building websites for at Wix and now, with Asaf's guidance, worked on their 'pitch.' 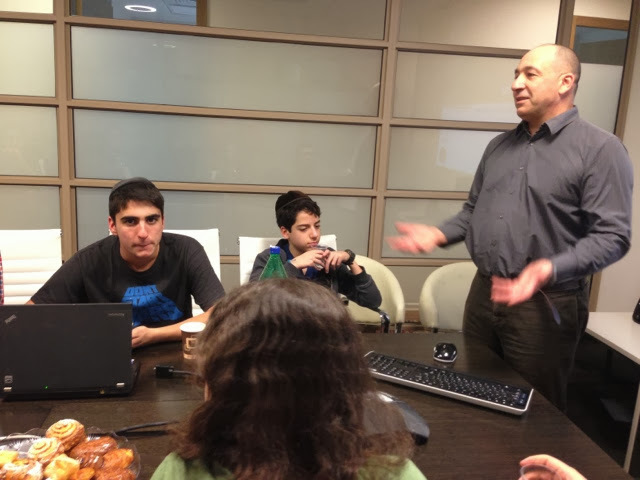 Each group then presented, and Asaf's great advice helped each group perfect their presentation. After lunch on the campus, we traveled to IDC, a beautiful college in Herziliya, which features the Zell Entrepreneurial Program. This is a year- long project based program for students to produce and launch their own Start Ups. We were treated to two student teams who pitched their Start Ups to us who then listened to our own presentations. The energy in the room was palpable and everyone came away with new ideas and goals for the future. We went to Mazeh 9, another social start-up where we gave advice to help a non-profit Jewish Heritage group with their project. We were regretfully at the end of our trip - and went to the beautiful Papagaio restaurant for our final dinner. We each expressed how we were changed by this experience. We know that we each can make a difference in the world, that we have abilities, drive and, now, a new network of mentors to guide us on our path. 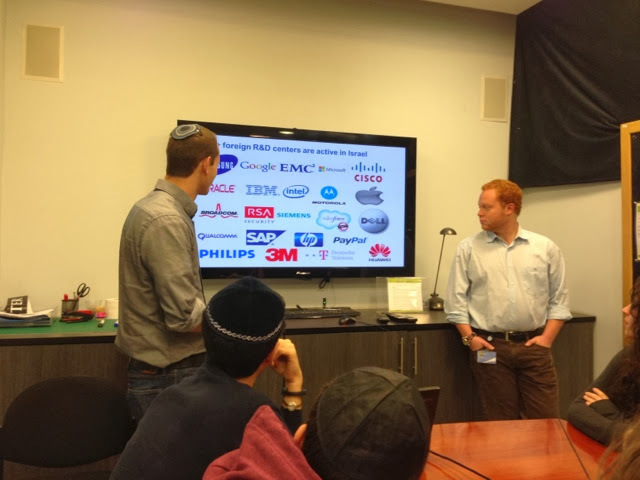 Tuesday morning started with a trip to Yokneam to visit Given Imaging, the company that developed the Pill Cam. This bio-tech company revolutionized the methods of diagnosing problems in the Gastro-intestinal tract by producing a pill that contains a tiny camera designed to take pictures from inside the body as the pill passes through the GI tract. A researcher and developer described to us the unique capacities and technologies on a variety of their Pill Cams inventions. As students began to understand how the pill cam works, they thought about ways it could be improved, offering various suggestions for the future. All of these ideas are in development! We prayed tefillat Mincha on a cliff overlooking the Mediterranean Sea. The silence during shmona esrei was awesome. We continued our STEM education with a visit to Avi Buzaglou, founder of Geomine, a system to observe land mines from the air. This new technology allows countries to develop more land and to fence off dangerous areas. 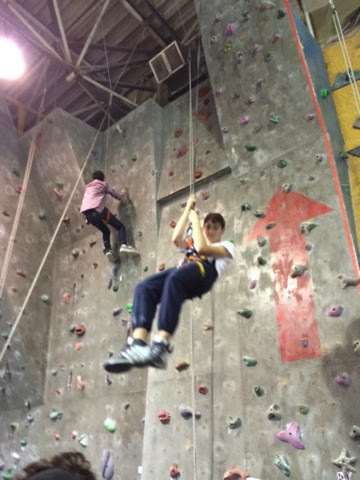 We went back to the hotel for dinner and then indoor rock climbing before getting ready for our last day of this super trip. 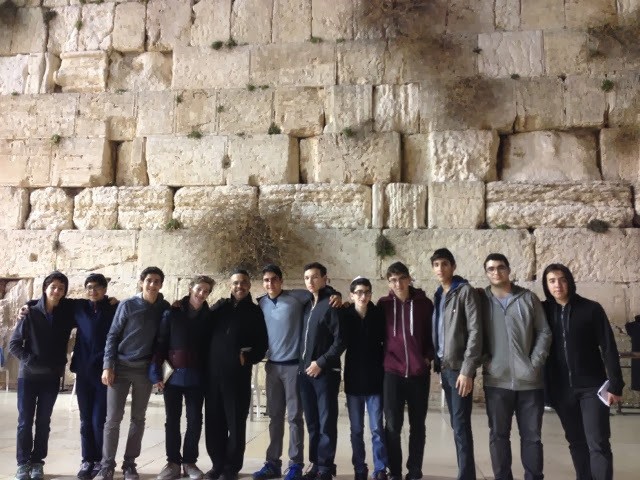 Today being the eighth and final day of the Chesed Mission we tried to make our last stops in Israel truly memorable. 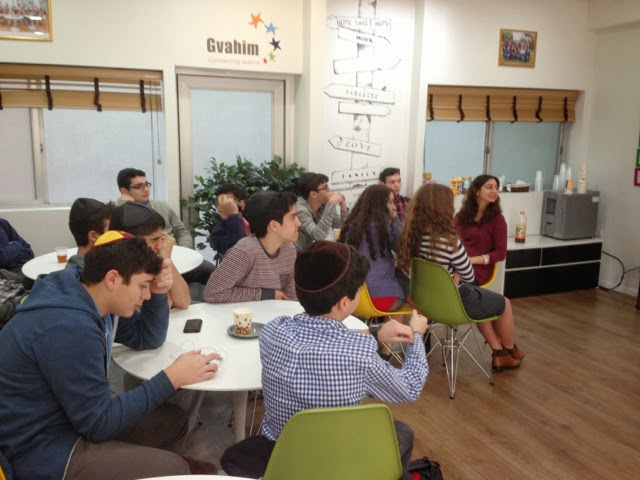 We went on the bus bright and early to visit the first organization of the day, Yad LaKashish - Lifeline For The Old. This establishment was founded in order to provide jobs for the elderly who made Aliya to Israel. We were able to walk amongst them as they created the most beautiful items, which included embellished mezuzahs, decorated porcelain pomegranates, knitwear, and more. Though most of the workers are poor Hebrew speakers, we were able to communicate with them and got front row seats to watch their creations come to life. We then had a chance to purchase some of the items and support their organization in their gift shop. As Jews we acknowledge that the Torah and our forefathers have a great impact on our daily lives, therefore on our second stop of the day we visited Kever Rachel. 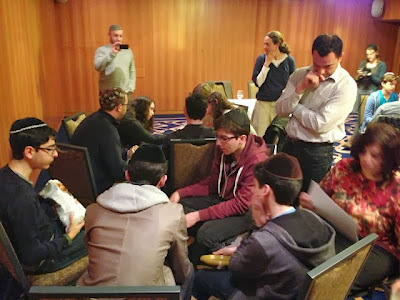 Though we were only there for a short time, we all took the time to pray and say some Tehilim for all those in need who we visited on the Chesed Mission and those in need at home. 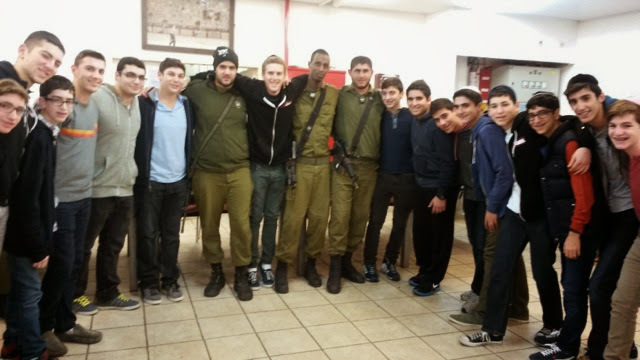 The last stop of the day, and of the entire Chesed Mission was a visit to our third army base. 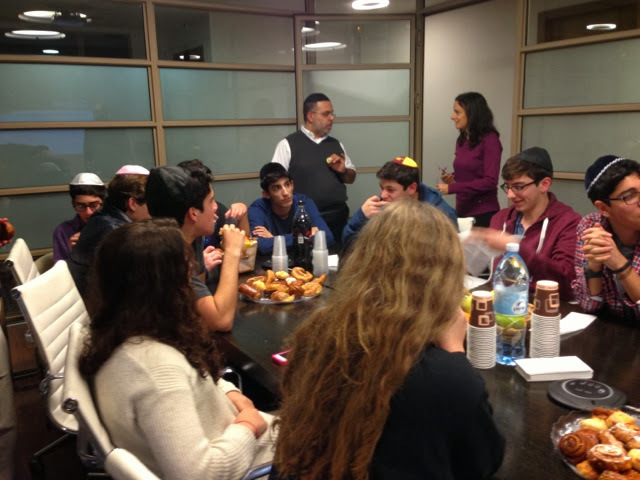 This was a joint effort with an organization called Yashar Lachayal. Their purpose is to support soldiers by providing anything that they might need, delivering things like thermals and scarves directly to the chayalim. The soldiers gave us an amazing demonstration, showing and explaining three of the sniper rifles that they use on missions. We then spoke with the soldiers and handed out thermals, socks, and more - things the army doesn't provide for them. We even got a surprise visit from a commander and his soldier Dor on the bus ride out of the base. The day continued with most of us heading to Ben Yehuda street cramming in some last minute shopping and ultimately enjoying our last few hours in Israel. Day seven of our non stop Chesed Mission in Israel was a success just like every other day. We accomplished what we came here to do by spreading our love and making many people smile. We visited a day care center, an institution for handicapped children and young adults who are visually impaired, a children's hospital, and a children's home that cares for them when their parents are unable to do so. Our first stop was to the Emunah Ethiopian Day Care Center where we had fun blowing bubbles and playing in the sandboxes and on the playgrounds with the adorable children. The toddlers and the staff alike were almost as ecstatic to see us as we were to see them. Although some children didn't know how or were too young to speak Hebrew, we were all able to communicate with them in our own ways and ended up having an amazing time. Getting a smile from one of the children by interacting with them was the perfect way to start our busy day. Next we went to visit Keren Or, which is a center that is dedicated and devoted to caring for and rehabilitating children who are either blind or have severe visual impairment and also have other disabilities. Many of the children are wheelchair bound and/or not able to respond to us which made it a little difficult to interact with them, however we did our best. We were able to get many of them to smile while we danced with them or just spoke to them. Two of the individuals sang for us with their beautiful voices. We also got to see the amazing pool they have where most of the children swim once a week as part of their numerous therapies. There is no better feeling than sitting with a child and finally getting a reaction when they shake their head or smile or wave. Many of us were very lucky to get these responses from these special children. After a quick lunch in an outdoor mall we arrived at our third stop which was Tel Hashomer Hospital. We unpacked about ten suitcases filled with gifts for the children and then split into groups to distribute them. We went from room to room allowing the children and their parents to decide which presents they wanted. They were all so grateful for the visit and the gift. The parents couldn't be happier that we made their child smile, even during their rough time. 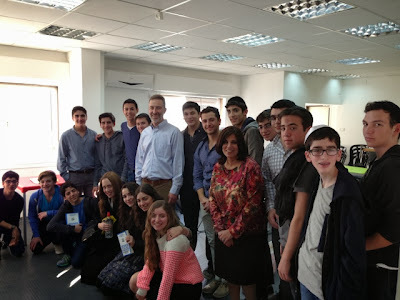 For me, one of the best moments on Chesed Mission happened a couple times in the hospital; when a doctor, nurse, or parent comes up to us and asks why we're here and what we are doing. Some of them can hardly believe that we, all the way from New York, care about them and want to help them lighten up their lives. Our final stop of the day was Beit Elezraki in Netanya. This is a home for children and young adults who have no one else to care for them. For many different reasons these children are either abandoned or are removed from the custody of their parents. 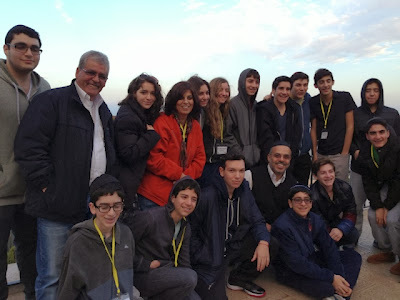 They come to Beit Elezraki and are welcomed immediately into a loving and beautiful home where they have many friends and staff who become their family. They live happy lives and eventually graduate from high school, serve their country, and get degrees from various universities. The goal to raise children who will be able to have healthy and stable families in the future is almost always achieved. When we got there we were welcomed by the principal who explained the history of the home and also revealed a plaque on the wall dedicated to Susan Franco for the amazing work she does. 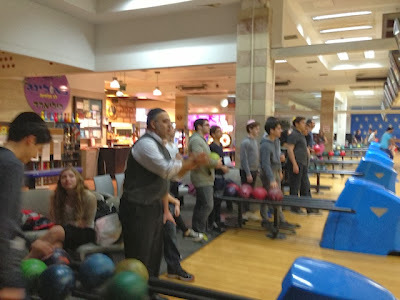 Then the boys went to play basketball with professional Israeli players while the girls did some dancing. We then went to eat dinner with the children and afterwards we had a major dance party. Throughout the night some of the kids from Beit Elezraki got various chesed awards and those who are graduating this year got presents. 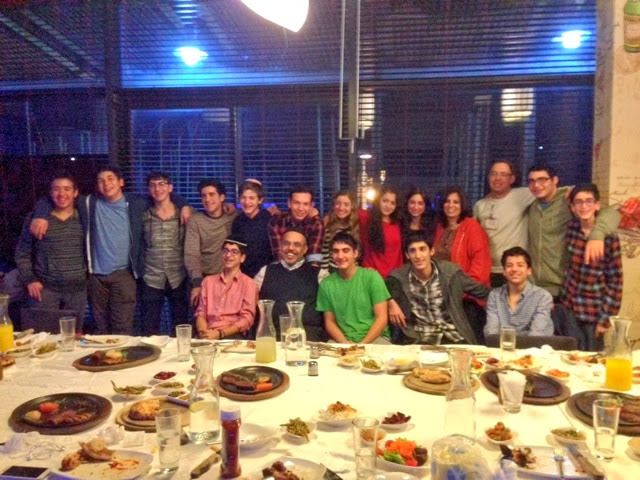 We also provided gifts to the Bar Mitzvah boys. So many of these children just want and need love and we were so fortunate to be able to give it to them. You could tell how much they love to be loved by the way they were acting with us, people they just met. This was a fantastic way to end our day because we had so much fun while doing chesed and making new friends. Wow. Sunday was an incredible but really long day, but there was very little rest before waking up early to pray Shacharit at 6:45 am. 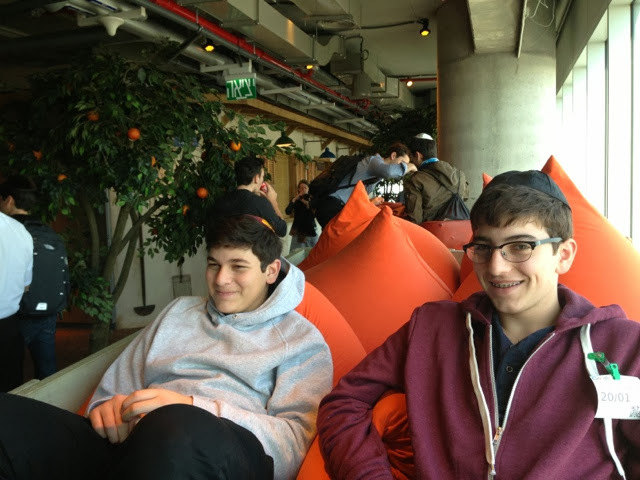 We didn't want to miss one minute of our visit to Google headquarters in Tel Aviv! The first thing we did was to hear all about a new elevated transportation system called "Skytran" from its CEO, Jerry Sanders, (with our group pictured above). To picture this system think about a cross between Star Trek and The Jetsons. Tel Aviv will be the first city to use this new wave rapid transit and we can't wait to see it in action! We then had a tour of the beautiful Google offices. Each floor has a different theme, related to the different cities and geography of Israel. After lunch at the Carmel Market we visited Wix, one of the most recent of Israel startups to go public (2 months after its IPO it's worth over 1 Billion dollars!). We learned how to make a website for the StartUp ideas that we brainstormed and worked on at Presentense. After dinner back at the hotel we all visited the Blind Museum. It was a truly sobering experience to try to navigate in total darkness - we came away with a greater empathy for the blind, and truly grateful for the gift of sight. Sunday felt like the real start of the mission of the STEM trip. It was all about learning about starting up a business and how to follow through. We began with a visit to JVP and heard from Hanan Brand about how they go about deciding which startups to finance. To him it was about passion and the desire to innovate for the betterment of mankind. 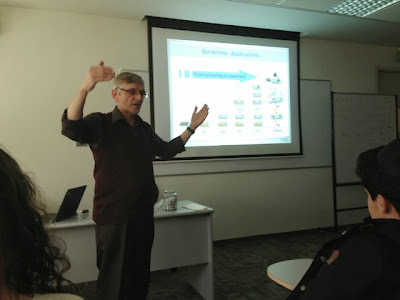 Our next stop was a visit to Presentense for an interactive seminar on the development of social entrepreneurship. The students split into groups of 5 and had an intense brainstorming session with the help of our leader. We then went up to the front, explained the innovation and clustered ideas as we went on. Students came up with ideas for smart homes, smart sports uniforms, new ways to interact with fantasy sports, sensors that prevent 'friendly fire' and more! Our next stop was lunch on Ben Yehuda and the 'Nu Campaign' - a T-Shirt store which is really a Chessed Social Start Up. The founder of the company is devoted to help others in need and to help end violence in the world. His T-shirts carry these messages of social justice. We were touched by his passion and drive. After this we headed back to Presentense to meet with Saul Singer, author of Start Up Nation. It was great to hear about Israel's place in the world as a leader in innovative businesses and technology. 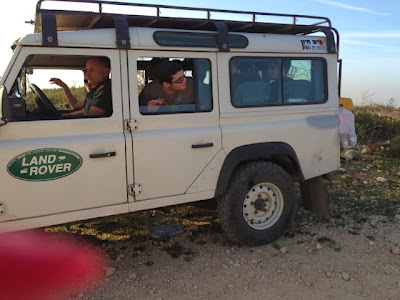 After this it was back to the hotel for a panel discussion with Josh Hasten, journalist for the Jerusalem Post, and Fadi Rabia, a Palestinian who wants to help open a dialogue for peace. It was fascinating to hear from both sides and it helped give us ways to understand the true story and advocate for Israel. 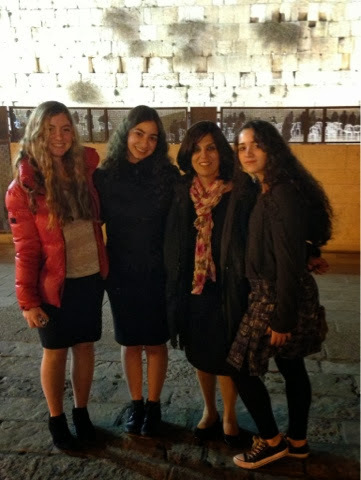 After a brief rest - we went out to eat at the fabulous Jerusalem restaurant Ana Ticho. Finally- Arvit at the Kotel and back to the hotel. 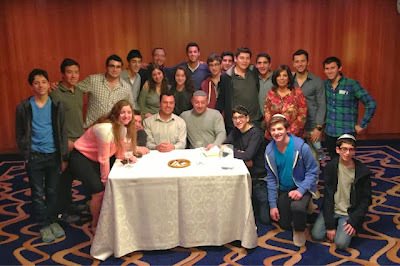 Shabbat at the Inbal Hotel with the Chesed Mission was fantastic. There was a lot of camaraderie at the meals, and we were all inspired by Divrei Torah from Mark Goldstein, President of Yeshivah Of Flatbush and Rabbi Besser. Both spoke about the importance of making a positive difference in the world and connected the mission of the Chesed trip to the mission of the STEM trip. Motzei Shabbat we all went to the army base in the Gush and gave out gifts, gave our thanks and danced with the soldiers. It was another action packed day here in Israel on the Chesed Mission! A day that started at 10 AM didn't end until 11 PM and there wasn't a single minute wasted. We visited children with disabilities, packed food for the needy, thanked soldiers, and much more. We started the day with a visit to Aleh. Aleh is a home, school, and medical facility for children with severe mental and physical disabilities. The students from Flatbush helped the children in various activities. They decorated trees, played music, and danced around with the children. Although we weren't able to directly communicate with the children, we understood that being there made a positive difference in the daily lives of the children by seeing the reactions that they could provide. Out students got out of their comfort zone and made so many children smile. 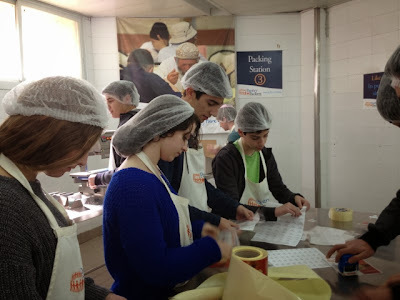 After Aleh we took a short bus ride to Pantry Packers. Pantry Packers, run by Collel Chabad, provides food for poor families all across Israel who need this food to survive. We were placed into groups of six and packaged rice for the needy in a high tech facility. 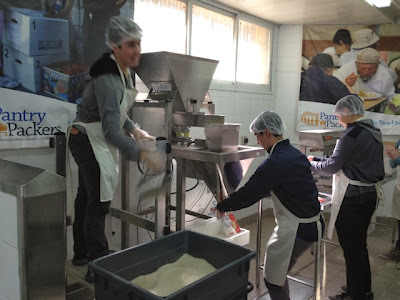 We all left after a fun experience feeling good that we were able to be a part of the Pantry Packers mission of packing food for Israel's neediest. After a nice lunch, we participated in a special program with Afikim. Afikim is an after school program for children living in poverty or coming from difficult home lives. We sat down with the young boys and girls of Afikim and did arts and crafts in honor of Tu B'Shvat. We all planted flowers and had a chance to speak with all the children. It was great to hear that these children were so excited to meet people from America who were willing to spend their own time to talk and interact with to them. It was also great to speak with the children and learn all about their interests and their school experience. After the program with Afikim the girls and boys split up for two different activities. The girls visited Bait Cham, a home for women and girls who have run away from home due to abusive relationships or families. All the girls danced together and had a wonderful experience. The boys went to the Zion Orphanage for Boys/Beit Blumenthal. We sat around a big circle, where each Flatbush student sat next to a child from the orphanage. We first played games to get to know one another. Then we played other fun games, which included a rendition of the chicken dance. We were really able to have nice conversations with the boys and learn about their favorite things in life and what they aspire to do in the future. We then gave out gifts and the looks on the boys faces were priceless. It felt great to know that what we were doing really had a big effect on the boys. We left Haifa Friday morning and made our way up to Jerusalem. Our first stop was Pantry Packers - a Chessed Start Up. We packaged rice for Collel Chabad - an organization that feeds thousands of hungry families in Israel. 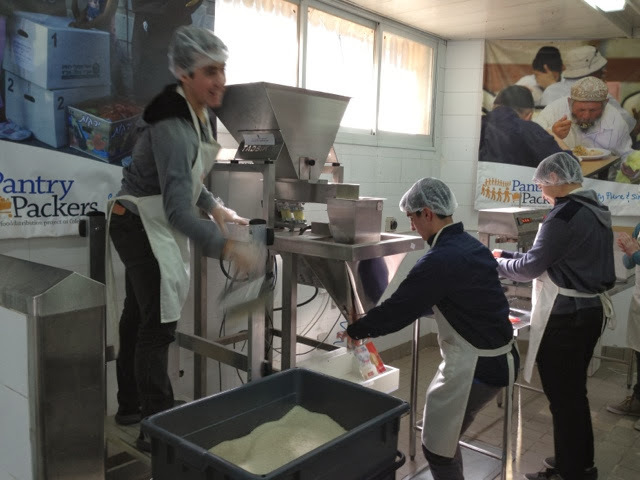 This social start up allows visitors and missions to Israel to volunteer and package large quantities of food in a short period of time. We split into two groups and each student had a job in this assembly line production of food packaging. It is another example of one person's innovation that is helpful to the world. On the fifth day of our Chesed Mission we ventured out to the Israel Children's Museum in Holon, visited the largest children's hospital in Israel, Schneider's Children Hospital, celebrated the Bar and Bat mitzvahs of the boys and girls at Achuzat Sarah Children's Home, and concluded with an amazing rock climbing session with rehabilitating Israeli soldiers through Tikvot. We began our day early Sunday morning with an hour bus ride up to Holon. Once we finally arrived the students were split into two groups. One group experienced "Dialogue in the Dark," which sensitizes people to the challenges of the blind, while the others where simulated to the challenges of being deaf at "Invitation to Silence." Both groups left the museum with great stories to tell about their thoughts and experiences and gave praise to their amazing tour guides. This experience allowed us to step into the shoes of people with certain challenges in order to understand what they go through and how to overcome those challenges. We then headed to one of the largest children's hospitals in Israel, Schneider's Children's Hospital. We were once again split into groups designated to visit each floor, distributing toys and explaining our "mission" to the parents and patients. Leaving the hospital you could feel the sense of accomplishment knowing that there was a smile on each child's face as they received their gifts. After a quick lunch at a mall in Petach Tikvah, we maneuvered the coach bus skillfully around the narrow streets of Bnei Brak until we arrived at Emunah's Achuzat Sarah Children's Home. Achuzat Sarah serves as a safe haven for children who face many challenges at home. This home offers children-at-risk places to sleep, hot meals and most importantly, love and care for as long as they want. The Yeshivah of Flatbush girls were able to make beautiful mezuzahs with the girls at Achuzat Sarah, while the Yeshivah of Flatbush boys were defeated in exhilarating games of soccer and basketball with the boys of Achuzat Sarah. We ended our visit there with an amazing Bar/Bat Mitzvah celebration. Children from Achuzat Sarah who were celebrating their bar and bat mitzvah all received huge bags of goodies sponsored by the Yeshivah of Flatbush Elementary School Bat Mitzvah program and our Chesed Mission. Each bag contained personalized items such as tehilim and siddurim. We then danced and sang with all the children, which was a lot of fun. Walking in the Machane Yehuda Shuk in Israel on Friday is always an experience. You know it's Erev-Shabbat when there are Jews everywhere while trying to bargain with store owners. Pre-Shabbos Ruach at the house of Pamela and Aba Claman was amazing. The view from the roof was just indescribable with breathtaking views of the old city. 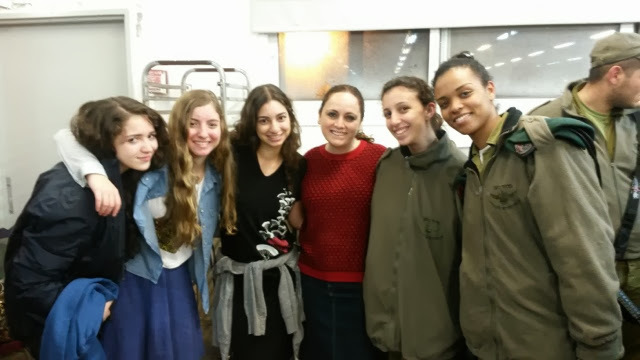 We heard an inspiring speech from Mimi who works for Thank Israel Soldiers. Friday night dinner was extra special with a touching message from Avi the Soldier, and ex army commander who shared with us his personal stories in the army. 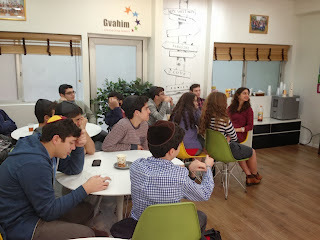 During Shabbat day many alumni who are studying in Israel for the year came to visit. They joined us for some singing during lunch. Today, after another great breakfast at the hotel, we were off to the Michael and Lola Goldstein Emunah Day Care Center to visit needy children. This center services poor families and offers therapy for parents in order for them to build healthy family lives. We got a chance to interact with the children by dancing, bubble blowing and planting for Tu BeShvat. Towards the end we had a Shabbat party with them. I noticed that after only spending two hours with them it was very hard for us and the children to say goodbye. 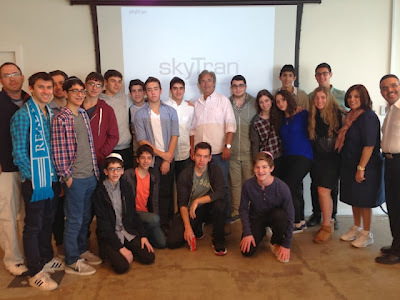 The STEM trip to Israel was scheduled to leave New York on Tuesday night, And we were truly psyched to get going! Unfortunately, it didn't go quite as planned. After mechanical difficulties with the plane our flight was delayed for over 3 hours, the passengers were finally ordered to exit the plane. The flight would be rescheduled for the next day at 4 pm. We were sad that we would miss some of the great activities that were planned but things came together anyway. In spite of the difficulty it took to get here, we finally landed in Israel on Thursday morning, 9 AM Israel time. With no time left to waste, we went straight to the Technion and met with Dr. Harry Yuklea, serial entrepreneur and professor at the Technion. Although we did not get to go through with our original plans, talking to Dr. Yuklea about the university and its innovations were eye opening. He explained to us the idea of the new playground-looking devices placed throughout the city that are actually used for exercising. We even got to try them out. We were each given a book about the technion's contribution to Israel and the world, and were invited to try to come back to learn at the Technion some time in the future. We then went to Elbit, a company that creates electronic defense systems and integrated battle systems. There we met with Arik, head of the department specializing in air-force pilots helmets. He showed us the evolution of the helmet and the new technology developed over the years. The latest one, that we even got to try on, has a device that senses the motion of the pilot's head and shoots a missle in that direction. It also displays information on the glass of the helmet in front of your eyes. We were able to learn how many specific details and measurements are taken into consideration when creating such a device. 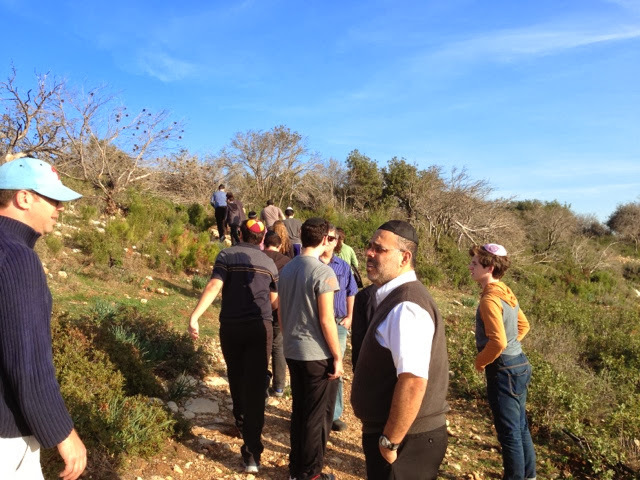 It was time for Mincha and we used the opportunity to drive to a beautiful lookout over the B'Hai Temple. We heard inspiring words from Kobi, our tour guide, with a special directive to each of to 'sim lev' put our hearts into everything we do. 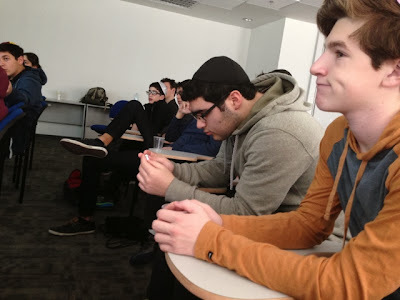 Today was the first official day of Chesed Mission 2014. 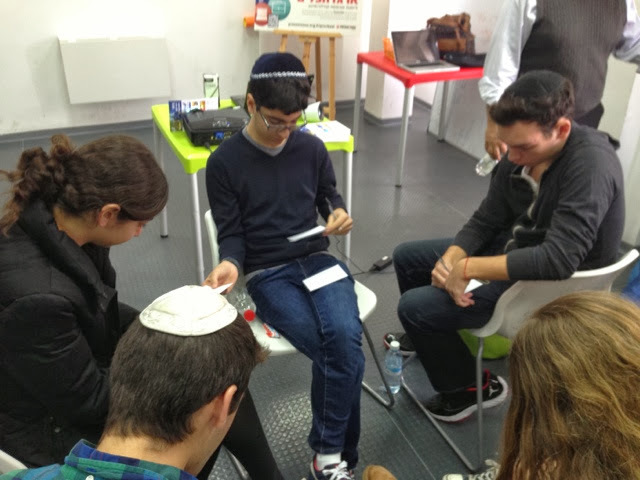 We started the day by visiting Ilanot, a school for children with cerebral palsy and other disabilities. The children put on a musical performance for us, taking great pride in their choir. Afterwards, we socialized with them and looked through the shuk they set up for Tu B'shvat. Some of us even got to help the children with their animal therapy. Next we continued to Karmei Ha'ir, a small soup kitchen in Jerusalem which serves hot meals to people in need. While the girls peeled potatoes and carrots, the boys cleaned dishes and served food to the visitors. After a lunch break in the Hadassah hospital mall, we gave out presents to the children who are patients there. Big or small, girl or boy, Jewish or non-Jewish, there were no distinctions; whether it was a toy, pillow, or a piece of clothing, everyone received a gift. Personally, I was very affected by a young boy named Yitzchak. He was laying in bed with a frown on his face and his arm in a cast. My friends and I brought him a toy car, and after realizing he didn't want company, we left. 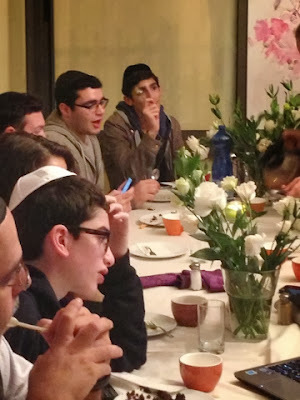 We later returned, and his father gave us a heartfelt thank you, saying Yitzchak had been in a car accident the day before and was extremely upset, but our visit cheered him up. As we walked out the door, I turned around and saw Yitzchak smile for the first time as he played with his car.